Our mission is to prepare children for life. All children are naturally curious and love to learn; we understand that all children learn differently and at their own pace. Our school engages all children to develop to their full potential through challenging programs that foster critical thinking, independence, creativity and responsibility — guided by a staff of loving, highly-trained adults and a community of families that actively supports our mission. 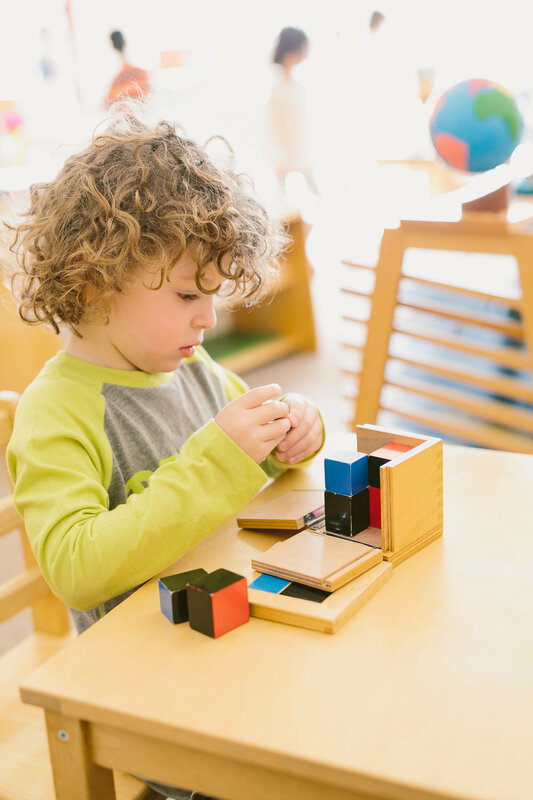 Why do so many families choose Montessori? Our school is accredited by Association Montessori International. AMI was founded in 1929 by Dr. Maria Montessori to oversee teacher training and to maintain the integrity of her work. We are the only AMI school in New Hampshire. We‘d love to meet you! The idea was for the children to work alongside an accomplished artist and for the walls of the school to finally have some beautiful art hanging on them in celebration of the school’s tenth anniversary. We accomplished just that. The children in our Lower Elementary community explore history by making connections between different people, times and places, based on the knowledge they’ve gathered about the world and guided by the five Great Stories we tell each fall, and the many history lessons we give through the year. Sarah Gilleeny is in her 3rd year at HMS as the Upper Elementary Assistant. Last year, she began a two-year AMI training course that brought her three times a week to Hartford, CT. She is the parent of three children, two of whom attend HMS and one of whom was born last year. Oliver joined his mom in both classrooms, at Hollis Montessori and the Montessori Training Center. We asked her how she managed it all and what she learned along the way. This isn’t a story of immediate success and leaps in progress. It is a story of a community and how one member has grown into his place within it. Every garden has a sense of history stretching from its founding up through its present patrons. With the ground breaking on the HMS Legacy Garden this Spring, why not hop through space and time to look at the deliberate place and purpose of some famous gardens?